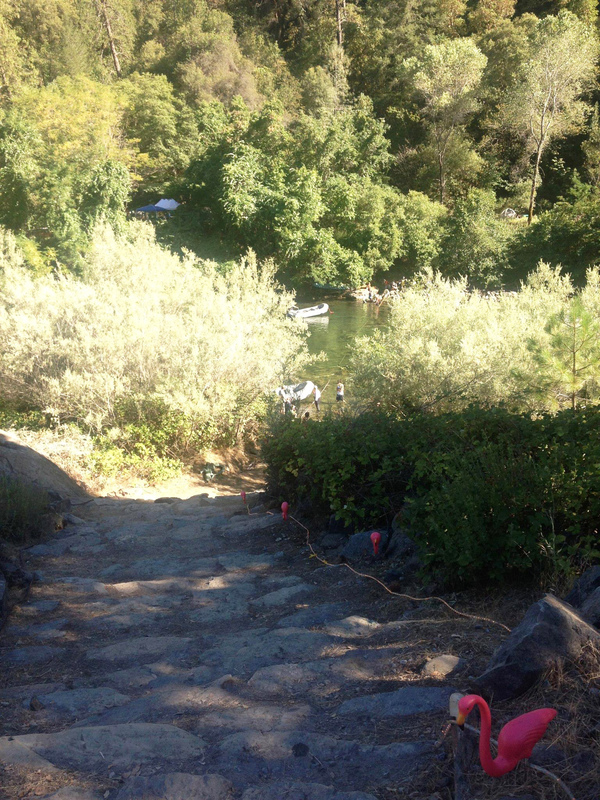 WENATCHEE — By the time the runners got to Brad Fitzgerald’s volunteer post on California’s American River this past June, their muscles were sausage, their minds strung out. 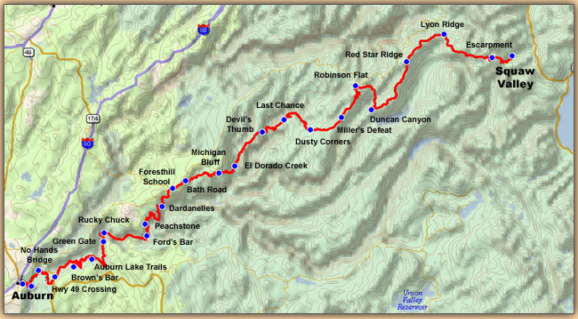 They had been running since before dawn, in heat that topped 100 degrees, and now at Mile 78 in the Western States 100 Mile Endurance Run more challenges awaited. 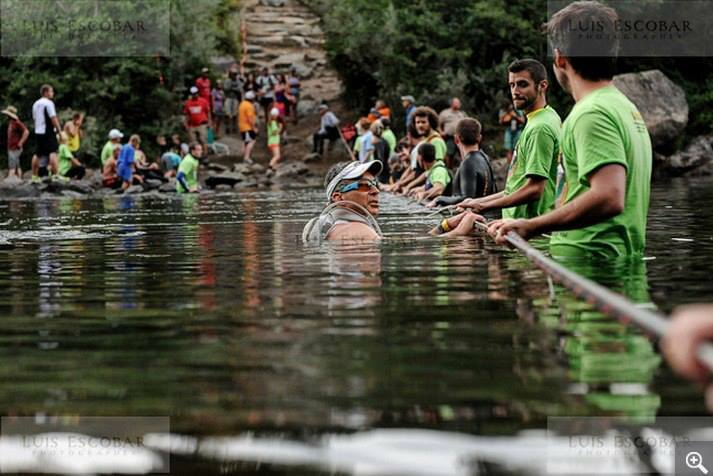 After descending a steep canyon to the river’s edge, these endurance athletes would consume as much water and food as they could hold down, and get checked out by medical personnel. If they had lost too much body weight — or if their blood pressure and pulse was out of whack — they could be pulled from the field or made to wait for a spell. For those who received clearance to continue, it was then a matter of wading across the river while holding a rope for balance, hoofing it out of the canyon, and then, oh, yes, running the last 22 miles to the finish in Auburn, Calif. The fastest crossed the river in the day light. Most did not have that luxury. For a volunteer like Fitzgerald, whose job was to keep the rope taunt in the middle of the river, it was as surreal a few hours he’ll ever experience. “They call it the ‘Apocalypse Now’ of river crossings,” says the Wenatchee resident, himself an ultramarathoner who has completed a half-dozen 50-kilometer races. 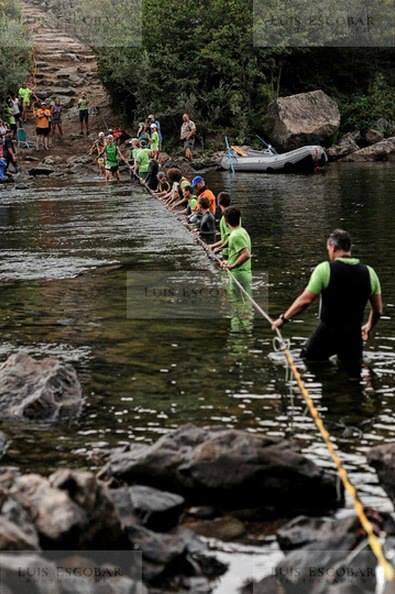 “We held the rope (for the runners) and were taking slack off the rope. We were telling them where the rocks were. The river was dark. Someone had glow sticks and zip-tied them to rocks and let the rock go to the bottom. On one side of the river, Christmas lights were hanging from trees. When runners showed up, they had head lamps so it would be bright then. 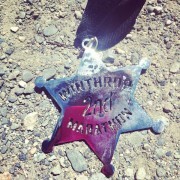 Fitzgerald didn’t come by this volunteer assignment at the world’s oldest 100-mile trail race by accident. His wife, Sarah, a City of Wenatchee recreation coordinator, gave it to him as a birthday present. 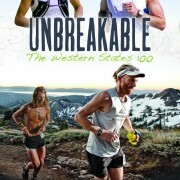 Brad first read up on Western States in 2008 and became intrigued by the event and its history. 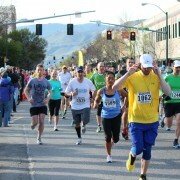 More recently, the Wenatchee web designer volunteered at the Wenatchee Marathon and at the Red Devil Challenge Trail Run near Cashmere. Western States 100 — first completed in 1974 by Gordy Ainsleigh in a time of 23 hours and 42 minutes — begins at the Squaw Valley resort. 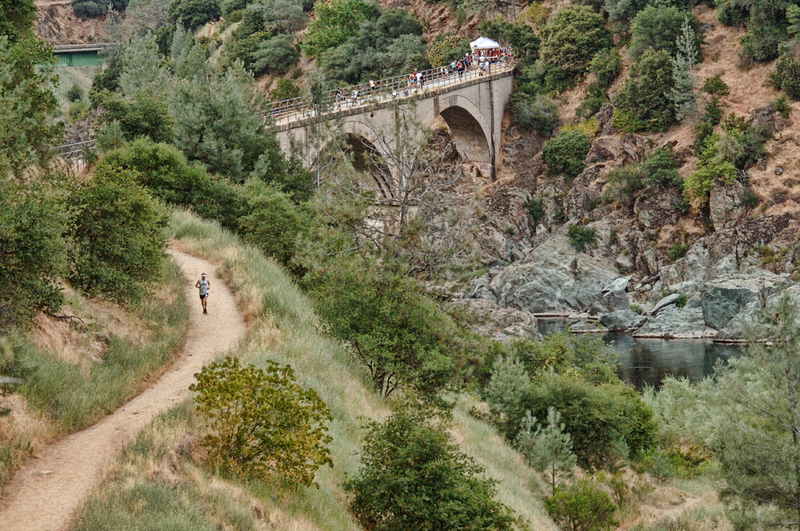 From there, runners stay on trails that climb more than 17,000 feet and descend more than 22,000 feet. The finish is held in the town of Auburn. The fastest time ever recorded was Timothy Olson’s 14:46:44 in 2012. One of about 1,500 volunteers on hand for the June 29 event, Fitzgerald helped at the Squaw Valley registration and then attended the official briefing for the 500 athletes. The race began at 5 a.m. and he didn’t need to be at the American River crossing — also known as the “Rucky Chucky Crossing” — until 4 p.m. Temperatures were forecast to hit the century mark. When he reached the river it was a scorching 106 degrees. 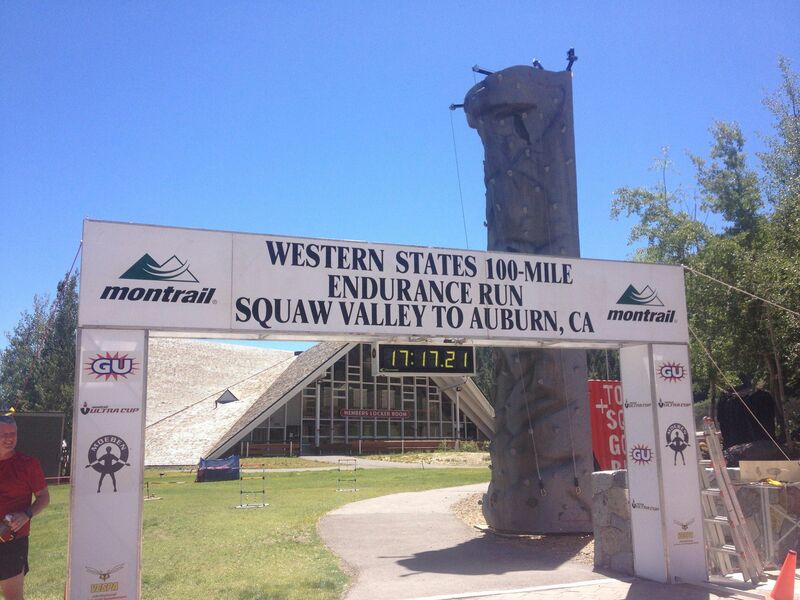 The world's oldest 100-mile trail race begins at Squaw Valley, Calif., and ends in the town of Auburn. Water flow on the American River is controlled daily by a dam. And in August, the river is home to dozens of whitewater rafting companies taking clients on trips. So when Fitzgerald arrived at his volunteer post in the afternoon, the river was still running high and the first runners to arrive on the scene at about 4:45 p.m. had to be shuttled across by boat. That routine continued for a few hours. By the time evening shadows appeared, the river level had fallen and athletes began walking across in water that reached their bellies. At Fitzgerald’s station, many of the volunteers wore shirts that read, “We’ve been wading for you” — an attempt at humor that undoubtedly escaped some runners with brains starved for oxygen. The food available at the river spot was like standing in line at a school cafeteria — hot dogs, soup, sandwiches, you name it. The race’s leaders exhibited more restraint. “The front guys just grabbed some Gummy Bears, and maybe half-a-sandwich-to-go,” Fitzgerald says. Cut-off time at the river crossing was 5 a.m. the following day; meaning runners had to have a toe in the water by that time or they were officially out of the race. “There was one guy booking it right at the end. He got across. About 70 percent finished,” Fitzgerald says. Defending champ Olson, 29, of Ashland, Ore., was the men’s winner in a time of 15:17:27. Pam Smith, 38, of Salem, Ore., topped the women’s field in 18:37:21. When he first read of the Western States 100 a few years ago, Fitzgerald envisioned a race that was as remote as it was hard. What will stick in his mind, though, for years to come were the sights at his river-crossing post. There was the sunset, the stars, the sunrise. Oh, and all the runners — in the dark of night. Runners climb more than 17,000 feet and descend more than 22,000 feet during the Western States 100. WENATCHEE — A movie that tells the story of the 2010 Western States 100-Mile Endurance Race will be shown at 7 a.m. Oct. 15 at the Wenatchee Valley Museum & Cultural Center. 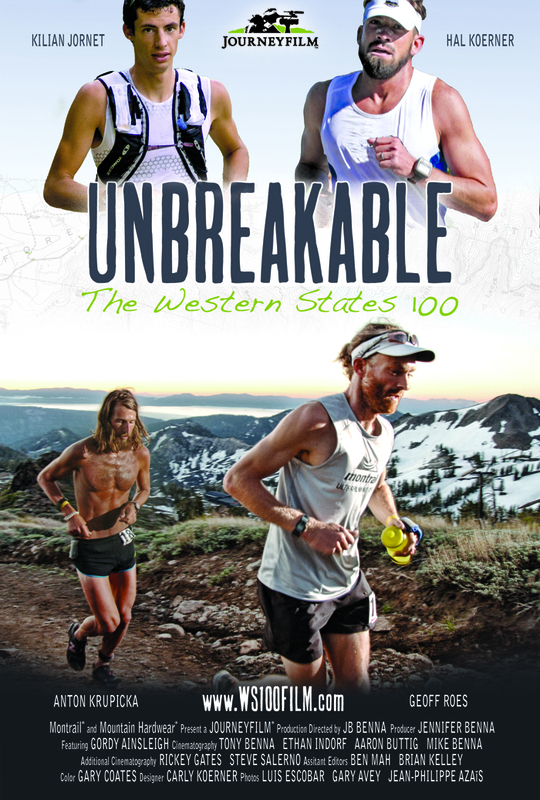 RunWenatchee is sponsoring the showing of “Unbreakable: The Western States 100.” The film kicks off the museum’s annual Environmental Film Series. The showing is free although donations are welcome. RunWenatchee will be serving refreshments, including beer and wine, and also will have some prizes to give away.